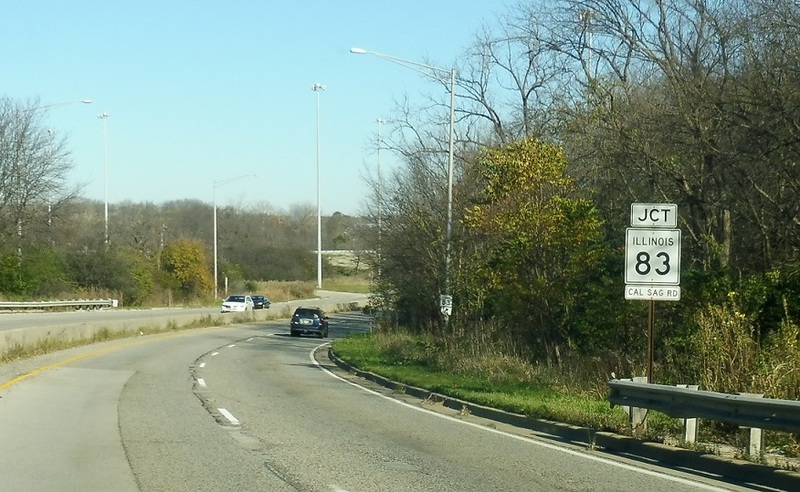 Reassurance shield after the US 6 junction. 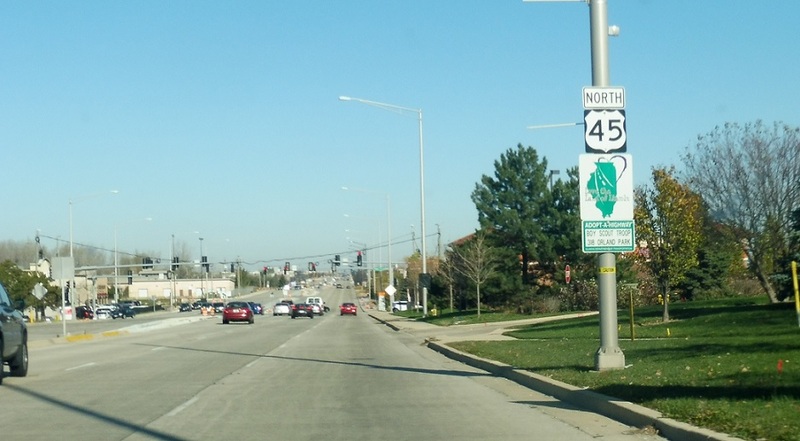 Reassurance shield after 151st St.
Reassurance shield as we head out of Orland Park. 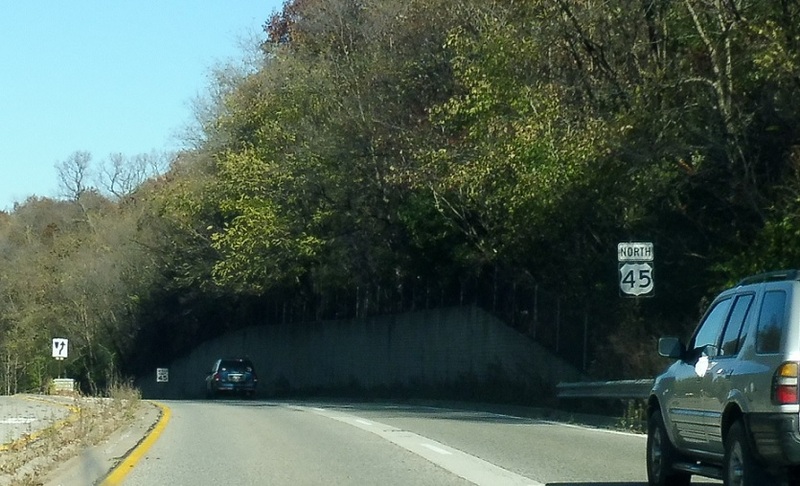 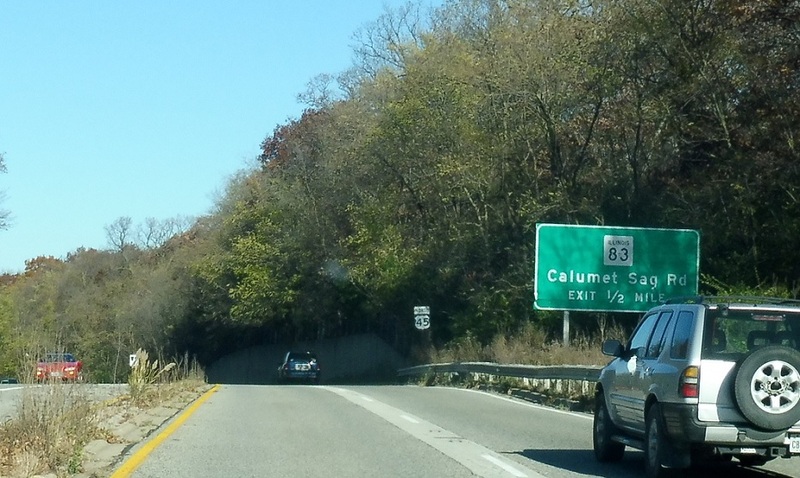 In a half mile we’ll approach Route 83. 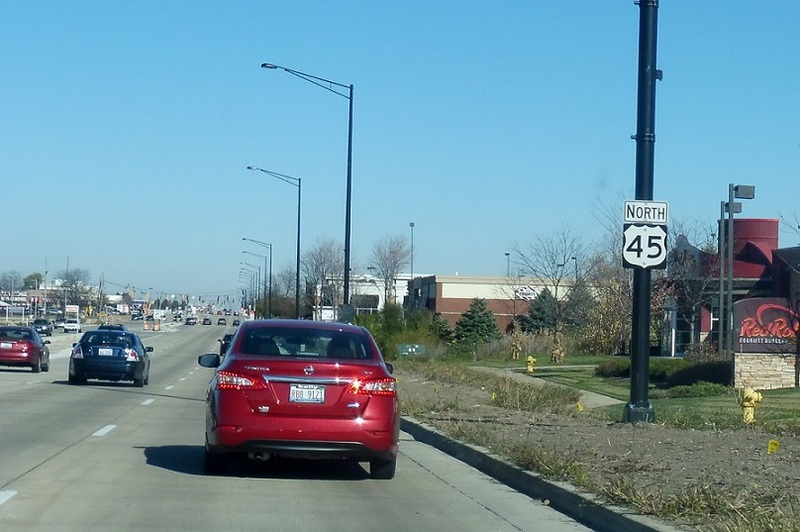 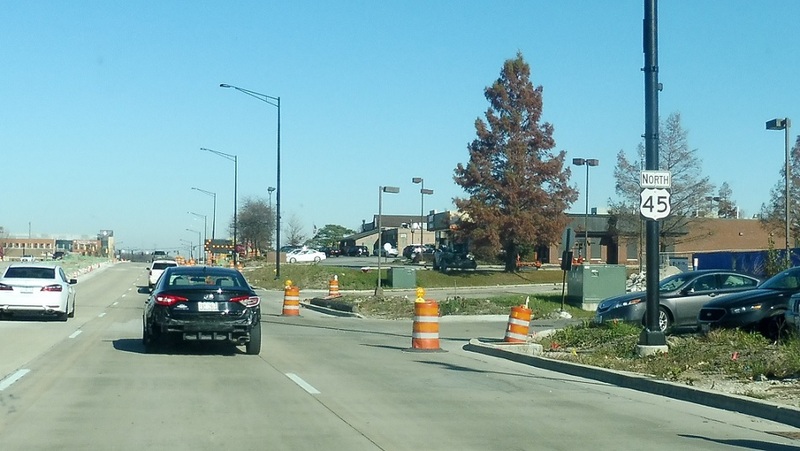 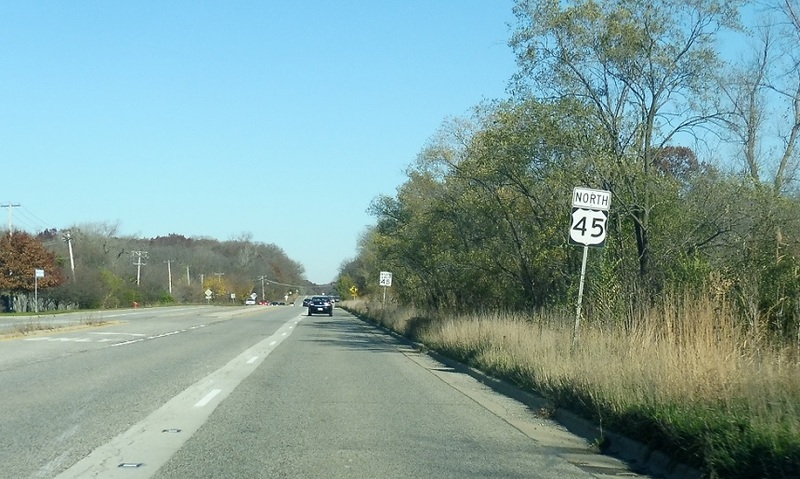 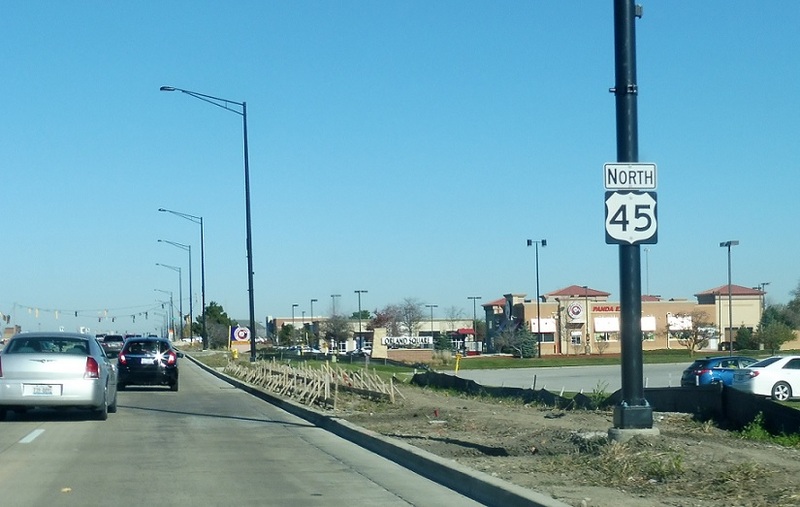 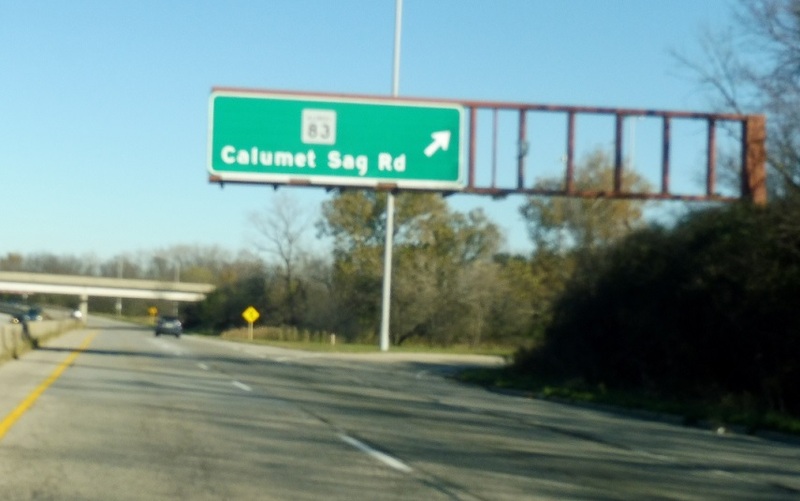 Reassurance shield after 123rd St.
Junction Route 83/Calumet Sag Rd. 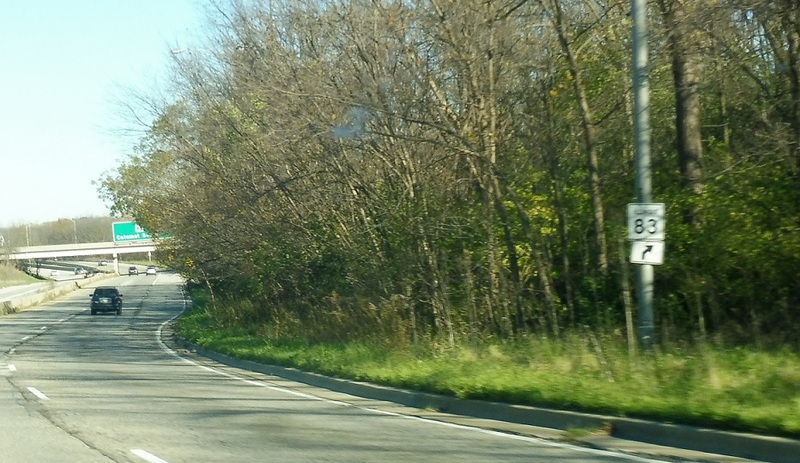 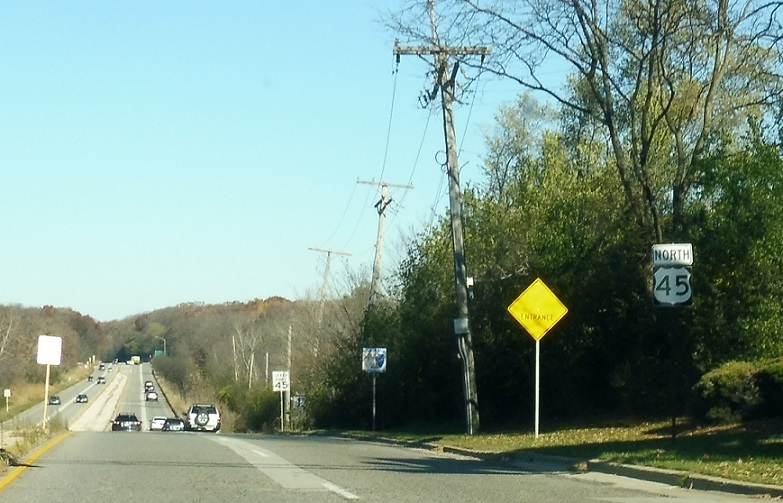 Exit for Route 83 at a grade-separated interchange.